Wash n finely chop all vegs n spinach n keep aside. Heat oil in a pan,add mustard seeds wait till sputter n add urad dal, ginger n garlic fry lightly ot till urad dal turns golden color. 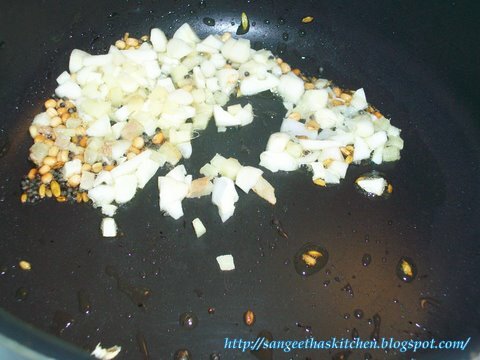 Then add onions n curry leaves ,saute till onion turns pink and add all the vegs n stir for a minute. 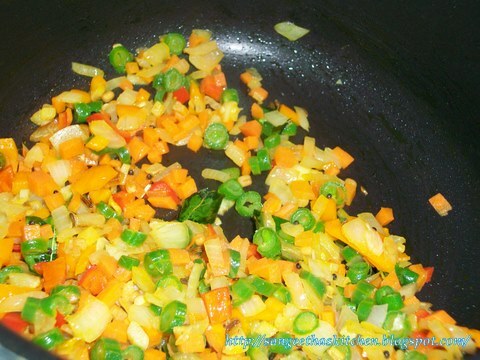 After that add turmeric powder,litle salt n stir everything well. 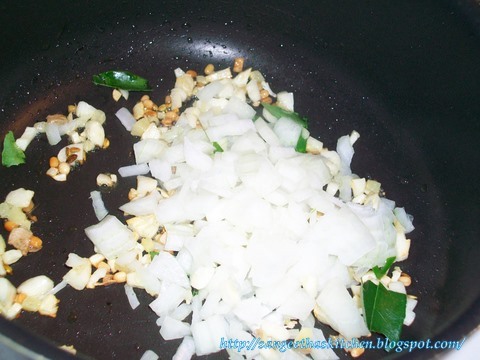 Lastly add chopped spinach n stir well and turn off the stove. Now add the spinach n veg misture to the idly batter and mix well. 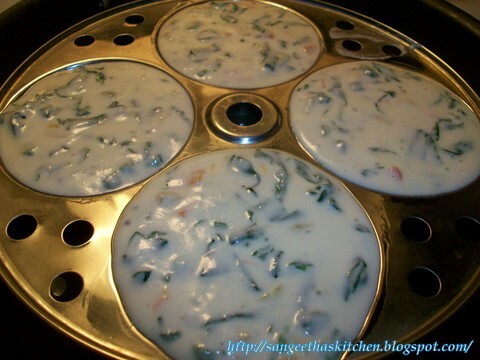 Take idly mould n grease the mould with oil/ghee,and pour a ladle of batter and steam for 10-15 minutes or till done. 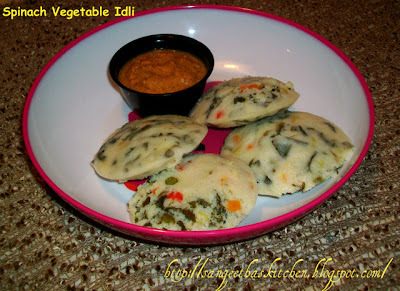 Serve spinach vegetable idly with any chutney/sambar. 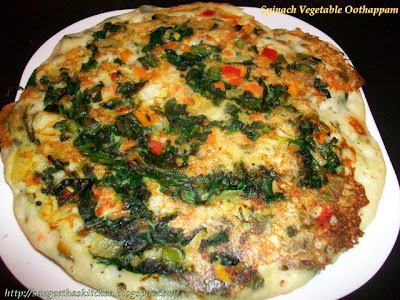 I tried oothappam also with the same n same spinach veg topping...that was newly named by my kids as "Pizza Dosai" :) they love the oothappam than Idly. Heat a tawa/griddle,Pour 2 ladleful of batter and spread lightly n make thick crepes..and apply the same veg toppings all over the oothappam ,drizzle oil n cover it for a minute and open the lid and turn other side cook till crisp or done.Serve hot with desired chutney/sambar. 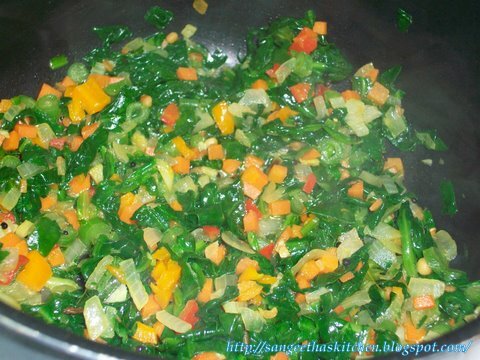 Sending this recipe to the event Dish It Out-Spinach and Garlic by Vardhini. lovely innovative idea with spinach n a healthy version,looks yum..
Oh, both of your dishes are so colourful! This is a great way to feed the family carbohydrates and Iron at the same time. Great ideas! Thanks for your beautiful comment on my Biryani post. Wow .. getting very creative dear .. love it. Thanks for linking to the event. Woww wat a wonderful way to sneak greens and veggies, dosa and idly looks incredible and healthy.. wow! !they look colorful, nice recipes!!! Nice way of using spinach !! both idlis and uthappam are yummy !! 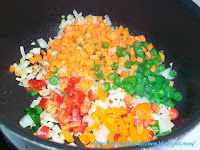 wow very innovative and colourful receipe,healthy too. :-)sure will try. I always wonder how do you get these innovative ideas. 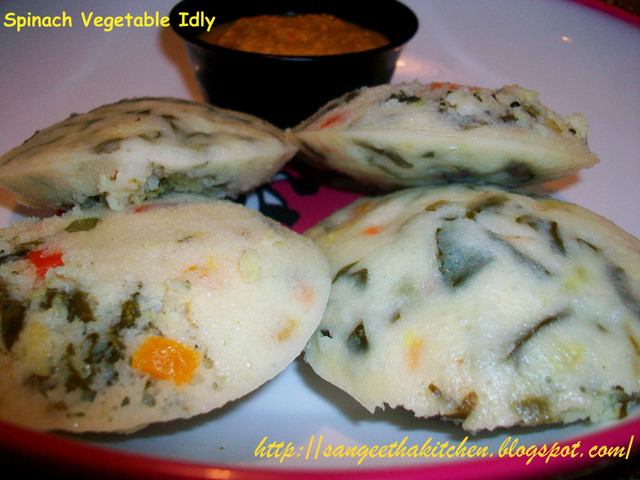 Healthy and tasty Idli & Oothappam. Its a wonderful innovative idea of making, soo tasty n halthy..
Takes the delightful idlis to another level altogether!!! They look so tempting!! Thats a very nice idea to make spinach idlies and uthappam,looks delicious and healthy too! Lovely delicious one. Love both of them. 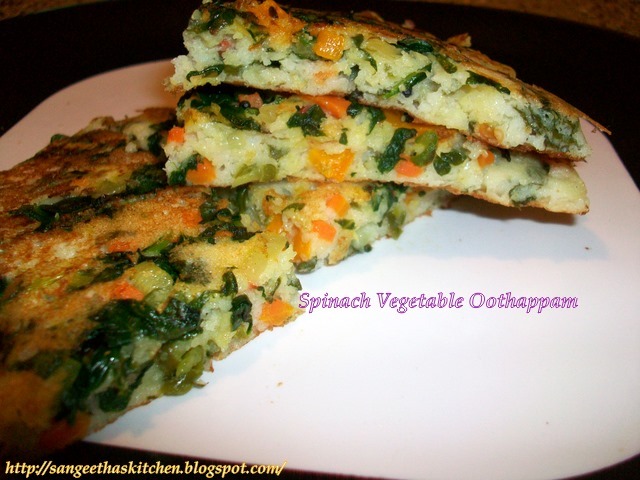 Wow loved your idea of sneaking veggies.Iam sure this would make a perfect school lunch too.